rapid! PayCard sent two individuals to our August 2014 chapter meeting. The representatives were extremely professional and very well prepared. We were clear that we did not want to have a “sales” pitch. rapid! delivered a very informative look at the paycard industry, regulation changes, and the future of paycards. Our members walked away with a clear understanding of what to look for in a vendor as well as the pros and cons of this vehicle. Questions were answered honestly and clearly. The experience was very positive. Chris is one of the rapid! PayCard Founders and is currently the General Manager of Wage & Corporate Disbursements with Green Dot Corporation. Chris brings to his role more than 20 years of management, leadership and entrepreneurial experience. Prior to joining Green Dot, Chris was most recently President of rapid! PayCard and General Manager of Card Portfolios for UniRush, LLC. He was responsible for the management of card products for this multi-line prepaid company. Prior to joining UniRush, Chris was most recently VP and GM of Prepaid Cards for the Americas at WEX Inc. As part of WEX’s global expansion in the Americas, the WEX prepaid card business expanded into Brazil with the acquisition of FastCred and a controlling interest in UNIK. Prior to joining WEX he was the CEO and a founder of rapid! Financial Services (rapid! PayCard) from 2004 until it was acquired by Wright Express (WEX) in April of 2011. Chris also serves as a board member of Freedom Bank, a Florida chartered bank and American Capital Assurance Corp. (AmCap) a commercial insurance company operating in Florida, Texas and South Carolina. From 1996 until 2008 Mr. Ruppel served as Vice President of Sembler Investments and held leadership positions in numerous portfolio companies. Chris holds a BA of Finance and a BA of English, both from the Florida State University. Brian is one of the rapid! PayCard Founders and is currently the Senior Vice President of Wage & Corporate Disbursements with Green Dot Corporation. Brian brings to his role more than 25 years of management, leadership and entrepreneurial experience. Prior to joining Green Dot, Brian was most recently Vice President of rapid! PayCard. He was responsible for the Business to Business go to market strategy and revenue team management of the paycard group for UniRush, a multi-line prepaid company. Prior to joining UniRush, Brian was most recently VP of Prepaid Cards at WEX Inc. As part of WEX’s prepaid revenue leadership team he was and remains active in national paycard and regulatory advocacy for the payroll and paycard industries. Brian is a regular educational speaker at many National, Regional, Web and Local events. Prior to joining WEX he was the President and a founder of rapid! Financial Services (rapid! PayCard) from 2004 until it was acquired by Wright Express (WEX) in April of 2011. 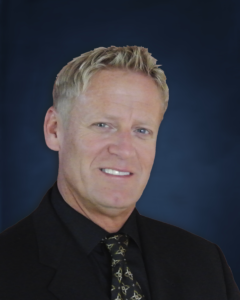 Brian was the Vice President of Sales and Marketing and served as a board member of Skilled Services Corporation, formerly a St. Petersburg, Florida based US focused construction staffing company that was acquired by CLP, a division of True Blue in 2007. 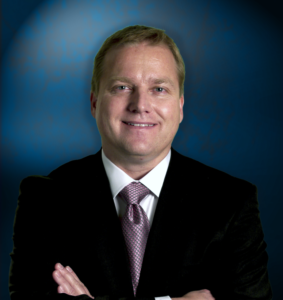 Beginning in 1997 until 2008 Brian served congruently to his position with Skilled Services Corporation as Vice President of Sembler Investments and held leadership positions in numerous portfolio companies. 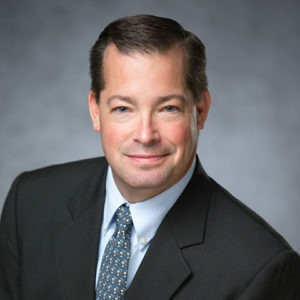 Brian’s early work history originating in 1988 was in the Healthcare Industry where Brian held numerous revenue centric positions of leadership with (AH Robins, Wyeth, Ayerst, Lederle Pharmaceuticals), all now operating as Pfizer in various geographies from Florida to the Northeastern United States. Brian holds a BS of Journalism from the University Florida in Gainesville, Florida. He is a native of Pittsburgh, Pa and has numerous family members that are retired and/or current NFL Coaches. Dallas Wilfong is the Director of Sales for the Eastern US at rapid! PayCard. In addition to his leadership and management role at rapid! PayCard, Dallas travels the United States to promote knowledge and education in the Paycard industry through supporting and speaking at numerous conferences, trade shows, and association meetings annually. Dallas has been with rapid! PayCard since 2012. Prior to joining rapid! PayCard, Dallas gained much of his experience working with the unbanked and underserved segment of the population while working in the Staffing Industry for over 10 years. In that industry, he held many roles such as General Manager, Division Manager, and National Business Development Manager. Dallas was born in Charlottesville, VA, and currently resides in Clearwater Beach, FL. Growing up in a military family, Dallas has had the opportunity to live in many states across the country such as VA, MD, RI, FL, GA, HI, and CA. Dallas is a graduate of West Virginia University and holds a degree in Business and Public Communications, Class of 1996. 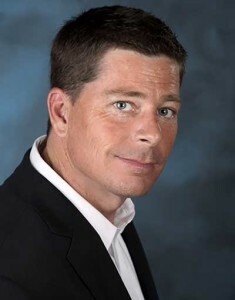 Burke Rice is the Director of Sales for the Western US at rapid! PayCard. Burke brings to his role more than 25 years of sales, sales management, operational oversight, and entrepreneurial experience. In his early career, Burke worked in banking and public accounting with Bank of America, US Bank, and Grant Thornton LLP. Over the past ten years, Burke has focused on the unbanked and underserved population of the US, serving as Executive Vice President of a national payroll card company and Chief Operating Officer of a start-up organization designed to serve the cash economy. Burke is a fourth-generation Oregonian and currently resides in Portland, OR with his wife Christy and their four children. Burke was a division one collegiate athlete and captained the golf team at Santa Clara University while earning his degree in Economics. Outside of his daily duties, Burke served as a Director for the Evans Scholars Foundation / Western Golf Association for 9 years through 2017. He is actively involved in a number of charities and professional organizations in his community. Green Dot’s SimplyPaid & rapid! PayCard solutions provide organizations with the most comprehensive Wage, Corporate Payments & PayCard benefit/e-Payroll programs designed for employers choosing to convert to electronic delivery of wage payments. Steve’s career spans over 25 years of Sales, Management/Executive Management experience with Nike Inc. (5 years), Automatic Data Processing (17 years), First Data Corporation (4 Years) and currently with Green Dot Corporation – rapid! Paycard (5 years). The last 20+ years focused in the Employer – Financial Services and Payments Arena. Steve works closely with the APA (American Payroll Association) and other National Associations and is a regular “Key Note” speaker Nationally in the Wage, Payroll and Payments Industry. Outside of his day to day responsibilities at Green Dot, Steve works closely with local Community Colleges & Universities providing mentoring to students and counsel with the University Career Centers. Steve also sits on the Board of Directors as Vice President for the local Youth Baseball and Basketball Organizations (12 years). Steve currently holds the position of Director, Channel Partner & Strategic Accounts, Wage & Corporate Disbursements at Green Dot Corporation. Born and raised in the Portland, OR area, Steve’s family currently resides in Happy Valley, OR. Steve is married to his wife of 25 years (Kelly) and have 3 children (Michael, 23) (Ryan, 18) and (Katelyn, 14). Steve graduated from High School in the Portland area and then went on to obtain his College Degree in Business Communications and Marketing at Portland State University. For more information or to book a speaker click here.